1. 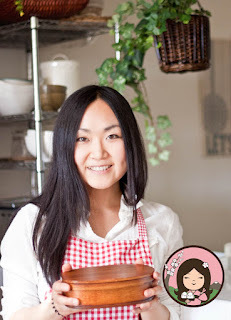 Mix soy sauce, mirin, sesame oil and sugar. 2. If you use cold rice, microwave until rice gets a little bit warm. 4. 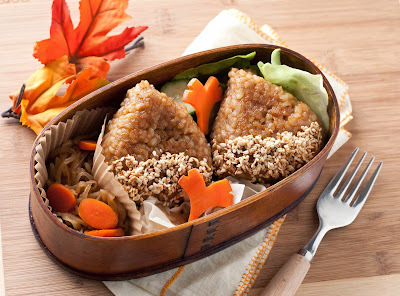 Shape the rice into chestnuts shape with plastic wrap. 5. Heat a little oil in a pan and bake the rice balls until golden brown on both sides. *You can freeze extra rice balls! Freeze it when it's completely cooled. Defrost it in a microwave. 7. 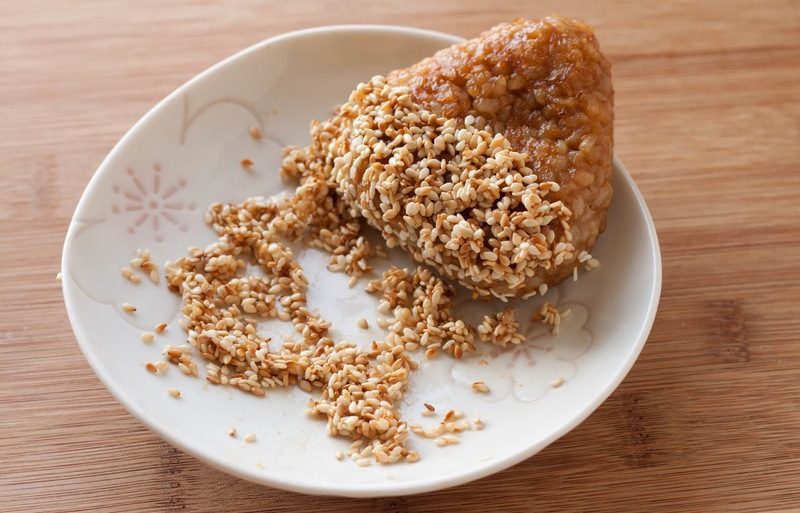 Shift the sesame to a plate and dip the rice balls. Or you can just use a spoon to put the sesame on the rice balls. 1. 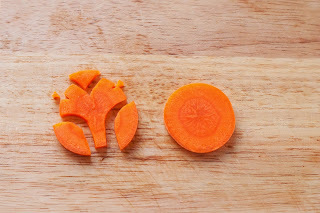 Slice a carrot and cut as shown. You can draw a guideline with a tooth pick before cutting.